Paris (AFP) - The "yellow vest" anti-government protests that have rocked France will be held on Saturday and New Year's Eve, and continue into 2019, several sources in the movement said Thursday. Cauchy also warned that if the concessions made so far by President Emmanuel Macron did not add up, "we will end up with a large-scale mobilisation in late January". The Champs-Elysees has since last month been the epicentre of repeated violent protests against Macron's government, with the Arc de Triomphe ransacked on December 1. 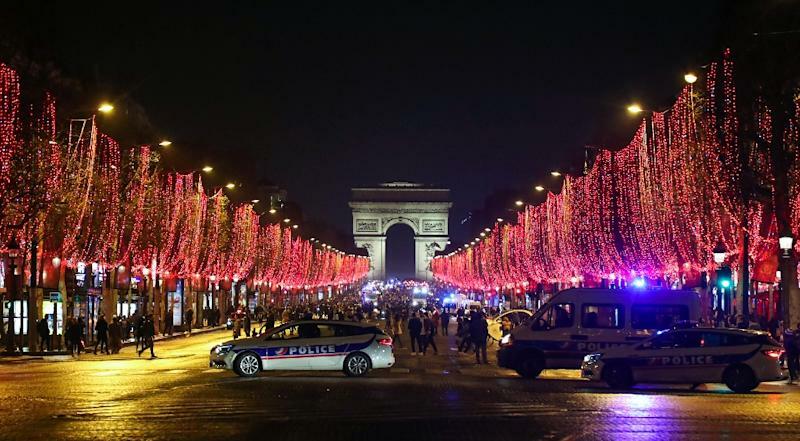 Paris officials said they would continue as planned with preparations for a fireworks display and sound and light show on the Champs-Elysees under the theme "fraternity". The avenue is a regular gathering point for national celebrations such as Bastille Day, the Tour de France and France's victory this summer in the football World Cup. The movement sprang up online in October and spiralled into the worst crisis of Macron's presidency, with tens of thousands blocking roads and protesting across France. Priscillia Ludosky, who launched an online petition against rising fuel taxes in May that is credited with a major role in sparking the movement, said the measures announced by Macron were "insufficient and without any real desire to improve the living standard of the French".